EDB is a file the extension also known as Exchange Database is the main repository of Exchange Server database which is designed for single client-server. Sometimes the user needs to Export their mailbox data from EDB to PST because of numerous way which is not an easy task for them which is due to the difference in the file format which they support. As the Exchange Server supports the file format of EDB files and Microsoft Outlook supports the file format known as PST file format. In order to export EDB to PST in such kind of situations the possible way is to convert EDB to PST using a software solution because of the highly enhanced features and for the safest conversion methods. Herein this blog, we will discuss features and methods of EDB to PST converter software solution and the demerits due to which we advise not to opt for free methods and solution. What are the reasons behind the EDB to PST conversion? EDB files come with a limited space for files, data and mailboxes due to which problem arises when the limit of EDB files are reached whereas Outlook PST files comes with 20 GB to 50 GB of space for the users. Since EDB files are the file extension which are stored in Exchange server. Therefore the security features are not enhanced as compared to that of Outlook. If Exchange server is down the mailboxes are inaccessible because of maintenance of tasks. 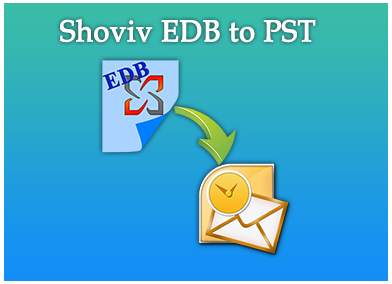 Hence, it is essential to export to EDB files into PST files so that one can access with mailbox data. In such situations, the user needs a safe, powerful, and user-friendly EDB to PST conversion software to convert the EDB files into Outlook PST format successfully. As the conversion of EDB to PST is a difficult task. Thereby, EDB to PST software solution is the best way through which we can convert EDB files to PST. What are the methods for the conversion of EDB mailbox to PST using EDB to PST converter and the demerits because of which we do not to opt for free methods and solution? The EDB to PST conversion is necessary for the user for their better-emailing services and user-friendly access. There are two methods through which the user can convert EDB files to PST files format. Alternate methods or EDB to PST converter software. The manual methods may consume lot of user time during the process of conversion. The method does not provide satisfactory results and there are chances of data corruption or data loss. The manual method might come as a free software solution which requires technical expertise during the conversion due to which non-technical users might find it difficult to work with. The manual methods can also lead to permanent deletion or corruption of EDB files. Due to this demerit of manual methods, we avoid the use of manual methods for the user and advise them to opt for the alternative software solution or EDB to PST converter software. Open the program and Add EDB files for exporting to PST file format. After the EDB file has been selected. Click EDB files and Go to the Ribbon bar and select export in Outlook PST. After the Outlook, PST files has been select a dialogue box will pop-up after which the user need to check the mailboxes which is need to export in PST files. After the mailbox has been selected click on next to proceed. Now the user will be required to fulfill the details according to the message class and process item date after which select “Next”. After selecting “Next” a dialog box will appear after which the user need to fulfill the details required. After all the details has been fulfill the user need to wait for the process to complete. After the process has been completed save the report and finish the program. The EDB to PST converter is the best solution through which the user can convert EDB files to PST format. The software not only converts EDB mailbox to PST file format but is also capable of recovering damage and deleted files for the effective conversion of EDB files. The software comes with enhanced features which are secure and swift for the conversion of the high-end capability to work with any version. The software also allows the user with the free demo of first 25 items of EDB mailbox for the workability of the software. Swift Conversion of EDB files to PST files format. Recovery of EDB files before the converting to PST file format. Export offline EDB to Live Exchange and Office365. Preview option before conversion into other formats. Option to convert EDB into PST, HTML, MSG, MSG Unicode, CAL, VCard etc. Free demo mode to check product accuracy and quality.